Looking to go cycling with your friends but don’t own a bicycle? Worry not! There are many bicycle stores where you can get a cycle on rent in Mumbai, so you can feel the wind in your hair and bring back childhood memories. Here’s a list of some of the best bicycle stores where you can get Cycle on Rent in Mumbai at affordable prices. Most of them even provide you with a helmet. When it comes to getting a cycle on Rent in Mumbai, this happens to be one of our favourite bicycle stores. 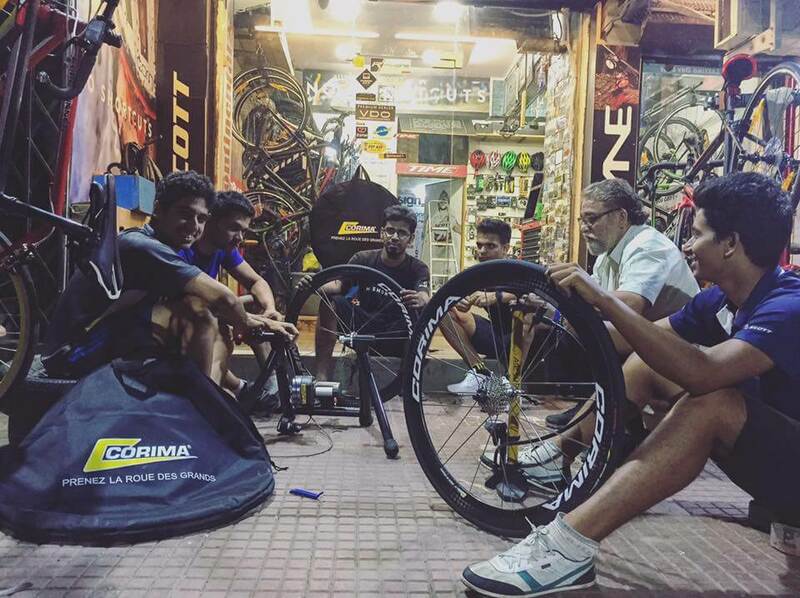 Situated in the heart of Colaba, happy cycle shop has been around before our nation got Independence. Today, this bike store is a great place to hire a bicycle as it offers avid cyclists with a lot of variety. As per our knowledge, this bicycle store is one of the two stores that are open 24/7. Hourly rates are somewhere between INR 100–200 depending on the model. If you have a friend who is looking to get cycles on rent in south Mumbai, this is where you should be heading! One of the most popular bicycle store to rent bicycles in Mumbai is Anil Cycle Store. At this cycle on rent store, you can get an MTB bicycle on an hourly basis for minimum INR 40 and Hybrids for INR 60. Just make sure you carry a security deposit of INR 500 along with photo ID and address proof. Another bike store where you can rent mid to high-end bicycles at INR350/day is Samarth cycle Mart. This place also gives out regular cycles at INR 250 a day. If you are looking to rent a bicycle on an hourly basis, the rates range from INR 50 to INR 100 per hour. All you need to do is submit a refundable deposit of INR 500 per bike along with photo ID. If you’re looking for a cycle on rent in Andheri, Bikeshark is a great bicycle store to rent out bicycles. They have basic bicycle models to MTBs, hybrids and even road bikes to rent. 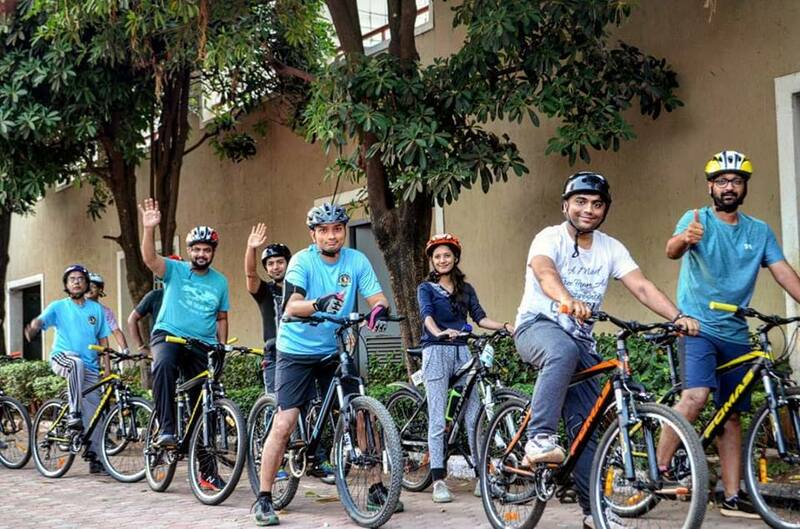 If you are looking for a cycling buddy, join them for their cyclists meet up, so you can explore more bicycle routes and travel further on your Velo and of course meet like-minded people. Also, if you are looking to rent a cycle in Borivali, Bikeshark happens to have a store there too. Just make sure you call them before heading to the store. Giant Starkenn is another cycling store that offers the best of bicycles to people looking to rent a bicycle. Just walk into their showroom in Khar, choose a bike you want to rent at just INR 300 for the entire day. Just make sure to be the early bird as they have just a few bicycles to rent. A good idea is to call them in advance to book your ride. Got a bicycle and now are looking for places to go cycling? We’ve taken care of that as well. Click here! An online marketplace where you can rent bicycles happens to have various pickup locations across Mumbai. Rent Set Go lets you rent any kind of bike with starting prices at INR 350 per day. Just be ready to pay a refundable sum of INR 1000 along with a photo ID proof. Some of the pick- up locations are as follows Colaba, Ghatkopar, Chandivilli, Dadar, Kandivali, Khar, Bandra, Panvel, Girgaon and Goregaon. Choose any plan, the helmets are complimentary with the bikes. Rent-A-Cycle aims at keeping the service as simple as the name. Hence, there is no deposit they charge, however, they take a picture of the government ID Cards (Aadhar card preferably) of any one of the members of a cycling group. At the moment, they are running a pilot to start a new centre on the western line in Malad at Goregaon Sports Club. Address: Rajgir Annex compound, Opposite Sion Station, Sion West. Another place around Sion, near Gandhi Market, is Do Pahiya. The place offers bicycles and helmets for the following prices. 1. Download The app – I Love Cycling from Play store. 4. After 2 hours of Registration, you will have to go to any dock station where they will give you a smart card. And you can start Cycling. 1. All Bikes are Non-Gear Bikes. 2. The best part is all bikes are serviced every day in the morning. 4. You can take the bike from any dock station and Keep at any dock station. 5. If Anyone plans to Steal any bike 😜 – Sorry Guys – It has Gps enabled bike. Do you know any other places to get a Bicycle on rent? Feel free to comment below and let us know!